Show off your cooking skills with this delicious Roasted Rack of Lamb meal!! 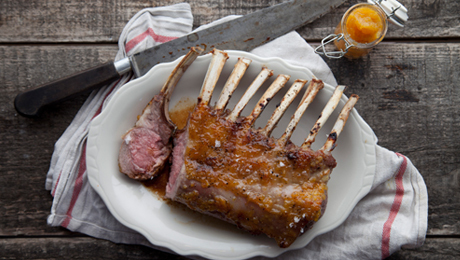 Remove the outer layer of fat from the lamb and using a spoon spread the poitín marmalade over the rack. Place in a preheated oven for 20-25 minutes for a medium cooked rack of lamb. Allow to rest for 5-10 minutes. Carve as required.